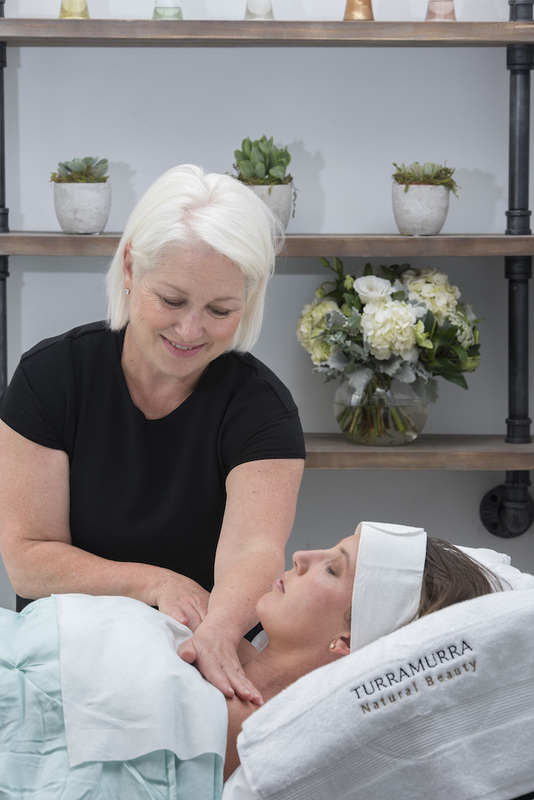 Turramurra Natural Beauty is delighted to offer a broad range of bespoke facial treatments that nourish, protect and transform your complexion. Guided by respected and renowned Skin Care Specialist, Tracie Horn, our highly trained Senior Therapists specialise in providing luxurious facials alongside advanced skincare treatments that are designed to rejuvenate, relax and restore your being. And as part of our ongoing commitment to identify and address your skin’s every need, our dedicated team offers a comprehensive consultation that enables us to offer in-salon treatments combined with at-home products, so that your skin is given the best possible attention and care available today. Please note that certain customised treatments might require you to introduce a skin care regime in the comfort of your home before receiving your exclusive in-salon treatments, to ensure your skin is prepared effectively and is primed to achieve outstanding, beautiful results. Our team takes pride in the fact that all of Turramurra Natural Beauty’s facial treatments include double cleansing, skin resurfacing and a luxurious European massage, serums and masks. An extensive range of massages are also available in our salon — depending on the client’s wishes — and can even incorporate the celebrated and therapeutic 42-Steps facial massage as created by Dr Nadia Payot. Shiatsu and Lymphatic Drainage methodologies are also offered in-salon to achieve optimum relaxation and results for our clients. Relax in the knowledge that our highly trained and experienced team is talented at identifying and solving a broad range of skin problems, and specialist face masks and serums are available in our salon, enabling your treatment to be customised and created especially for you. The Classic Facial is designed with your utmost relaxation in mind. Lie back and relax while your therapist treats you to a soothing, ultra-hydrating facial that is deeply nourishing to your skin. A luxurious European massage guarantees that you will leave the salon feeling calm, relaxed and ready for the world. If your problem is tired-looking, lustreless skin, think of the Solution Radiance facial as the answer to instant beauty. This super-fruit cocktail is just the ticket for skin that needs an immediate boost of vitality and radiance. Nothing plumps up the skin like good hydration and all skin types can benefit from the superb thirst-quenching properties of the Solution Hydratant treatment, making it a popular choice for gift vouchers. Ideal for skin with imperfections and blemishes, the purifying properties of Solution Purete, combined with gentle extractions, will see your skin clear and glowing in no time. The beauty of our Signature Facials is that they are designed just for you with intensive serums, masks and skin resurfacing. The relaxing Signature Facial is followed by a luxurious European massage, to ensure that you’ll feel like you’re floating on air with your best face forward by the time you leave the salon. Dull, lifeless skin is transformed by the energising, radiance-boosting benefits of the Signature Eclat treatment. The calming qualities of the Signature Nutri facial will soothe your worries and make even the driest skin look and feel smooth, supple and amply nourished. The Institute Facial delivers a concentrated, results-focused treatment. Our therapists take the time to carefully assess your skin, your home skin care regime and your lifestyle, and thoughtfully choose the appropriate facial that will achieve superb results. This luxurious facial experience will achieve outstanding results tailored just for your skin’s needs. And our promise to you is that the results of this powerful facial will last longer. Perfect for brides, mothers of the bride and special events, the Institute Collagen Absolute is a renowned hydrating facial that features pure collagen, enabling true plumping and rejuvenation of the skin. This treatment is perfect for those occasions when you wish to wow the crowd. Our team loves the Institute LissAbsolute facial as it gives your face and décolletage a near ‘new skin makeover, thanks to the almost magical AHA peeling treatment that effectively smooths deep wrinkles and reduces fine lines. You’ll look your absolute best with the LissAbsolute. It’s well known that as we age, our skin gradually loses its natural elasticity. The anti-ageing and firming properties of the beautiful Institute Lifting Absolute facial work directly on the skin to increase its overall suppleness, leaving it looking and feeling younger. For those of us with complexions that feature irregularities and imperfections, the detoxifying and oxygenating Institute Detox Absolute facial is the perfect antidote. Supreme by name and supreme by nature, this superhero facial packs a punch by actively fighting the skin’s enemies including: ageing, wrinkles, slackening and free radical attacks. Its corrective properties also help to restore the complexion’s natural radiance, delivering a palpable luminosity to the skin. Why not add on Dermalux LED $55 to any of the above treatments for an even better result? After just one treatment, Dermalux® instantly energises skin cells to revitalise a dull and tired complexion. A course of treatment offers long lasting results, stimulating the skin's natural rejuvenation and repair processes to promote healthy looking skin, accelerate cell renewal and resolve a range of skin concerns. This series of six or twelve treatments is designed to radically improve your skin and achieve lasting, enhanced results — you’ll be thrilled with how great you look and feel!. Bespoke Clinical Couture Peels and treatments are available in-salon and are thoughtfully tailored by Tracie to meet your individual needs. Designed to deliver optimum results, Tracie’s bespoke treatments include an extensive personalised consultations, home care and salon treatment plan. Please note that certain Clinical Couture Peels will require you to start a skincare regime in your own home with beautiful products selected especially for you by Tracie, to ensure your skin is fully prepared to achieve the best treatment outcomes possible. And to maintain the outstanding results, a post treatment skincare kit is included in the price, to ensure your complexion remains nourished and radiant. To ensure complete customer satisfaction and in consideration of other clients, please take note of our SALON ETIQUETTE when booking, attending or making changes to appointments. The exclusive I PEEL collection is formulated to rejuvenate and brighten the complexion while also smoothing wrinkles and lines. The skin is detoxified, energised and protected leaving you with a noticeably more supple, youthful and radiant complexion. Clinical Couture Peel Treatments feature extremely effective clinical resurfacing properties that are designed to improve specific, problematic skin conditions. Customised for each individual client to address concerns such as anti-ageing and loss of firmness, as well as conditions such as dehydration, acne, stress, redness, uneven skin tone, dry and sensitive skin, rosacea, dark spots, blemishes and reactions. Designed to treat redness, inflamed and dry, dehydrated skin, the Antioxidant, Anti-Ageing Facial offers a comprehensive treatment that combines a stable tri-vitamin C blend with correcting exfoliating agents, plant derived stem cell technology and deeply hydrating ingredients. Your skin (and mood) will go from angry to calm with this luxurious, soothing treatment. Microdermabrasion meets oxygen therapy in this uplifting treatment that promises instantly radiant skin. A traditional microdermabrasion treatment is followed with a revolutionary oxygenating masque and stem cell infusion, leaving your skin exfoliated, oxygenated and illuminated to perfection. This revolutionary facelift combines vitamin C, alpha hydroxy acids and gentle but highly effective enzymes to speed up cellular renewal that will brighten, tighten and lighten your skin in just one treatment. New technology of centella stem cell extracts support redness-prone skin, while botanical detoxifying and energising complexes ensure you will walk away with hydrated skin and a healthy glow. Turramurra Natural Beauty recommends that you enhance any of the above treatments with a Dermalux LED light therapy Booster for only $55. Tracie provides specialised facial services with the individual modifications necessary to keep you safe during your treatment. Not only for those in active treatment but through to long term recovery. The treatments focus on restoring and replenishing the skins barrier function and relaxation. Turramurra Natural Beauty is a salon devoted to the overall well-being of our clients through a variety of professional services such as customised facials, skin and nail care. Tracie is a certified oncology-trained beauty therapist who can provide her clients with a safe and satisfying salon experience that is customized to meet their needs.